All funds raised will be paid directly to Elm Street Hatboro for Hatboro K9. You can also support the K9 unit by purchasing long sleeve shirts at this link! The Hatboro Police Department is partnering with Elm Street Hatboro & Hatboro Federal Savings; we are seeking assistance to start our first K9 Unit. HPD is trying to raise approximately $40,000 by February 2019. The Hatboro K9 Unit is being completely funded by private donations. We are attempting to start this unit without any additional burden to the tax payers. That means we need a lot of help from a lot of generous people like you! A Police K9 Unit joins the local community with the police department in an effort to increase officer safety, add tracking abilities to locate missing and endangered persons in a timely manner, solve crimes more effectively, and discourage criminal activity. The addition of a K9 Unit to the Hatboro Police Department broadens our capabilities of service to make Hatboro a safer community. A K9 also serves as ambassador to strengthen public relations between the community and local law enforcement. A K9 unit will not only help the community of Hatboro but also assist Montgomery County with drug enforcement, locating missing persons, and the apprehension on wanted subjects. K9 Louie from the Penn Vet Working Dog Center has been selected as badge #59 for the Hatboro Police Department. K9 Louie and Ryan will make a great team and addition to Hatboro PD! We support our Officers and we welcome Louie to our community. 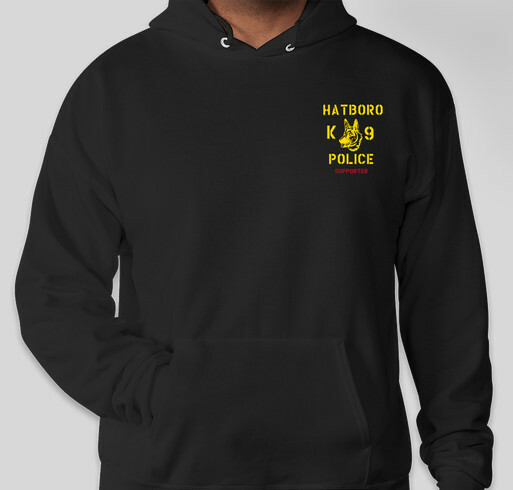 Share Why You Support "Hatboro Police K9 Unit"